“We do not store credit card details nor do we share financial details with any 3rd parties”. If your product does not meet the specification detailed on the website then we guarantee to provide a full refund. Product should be stored under cover to avoid the product getting wet. Any claims should be made within a reasonable timeframe after purchase. i.e. it is expected that any complaint would be made within 4 weeks of starting to use stock. Refund Policy relates to product quality and delivery. All refunds will be made via PayPal. Cancellations will only be accepted prior to despatch. 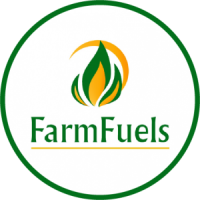 Farm Fuels Jersey are the largest importers of kiln dried hardwood logs, Heat Logs, wood pellets and firelighters to Jersey Channel Islands. Premium Coloured Mulch COLOURBED™ is a premium quality coloured landscape mulch produced from carefully selected clean dry wood fibres.